Nestled in a quiet by-lane in Baner, is The Flour Works' latest (and third) outlet. Quite like their Kalyani Nagar flagship outlet - the restaurant is housed in a converted bungalow, surrounded by lush greenery. The Flour Works is a 10+-year-old brand, started by Chef Meeta Makhecha. Her dedication to food shines through each dish on the menu - from the all-day breakfast to the Euro-Continental fare. The Flour Works in Baner is a neatly renovated, cosy space - with white walls and plenty of warm, wooden furniture. Their dining space is quite versatile, spread over the ground and first floor, so you can choose between al fresco or indoor seating. Choose from an extensive menu spanning breakfast, soup, salad, sandwiches, pasta, pizza, mains, dessert, and an array of hot and cold beverages when you visit. Personally, we're huge fans of their American-style pancakes (which featured on our LBB Guide to Great Pancakes in Pune), spinach and goat cheese tartlets, citrus chicken salad, pasta carbonara, luscious hot chocolate, and buttery croissants. As good as their savoury dishes are - we recommend you save room for Meeta's delectable desserts! The Flour Works is open from 7.00am until midnight - so you can enjoy as much delicious food as you want, all-day long. 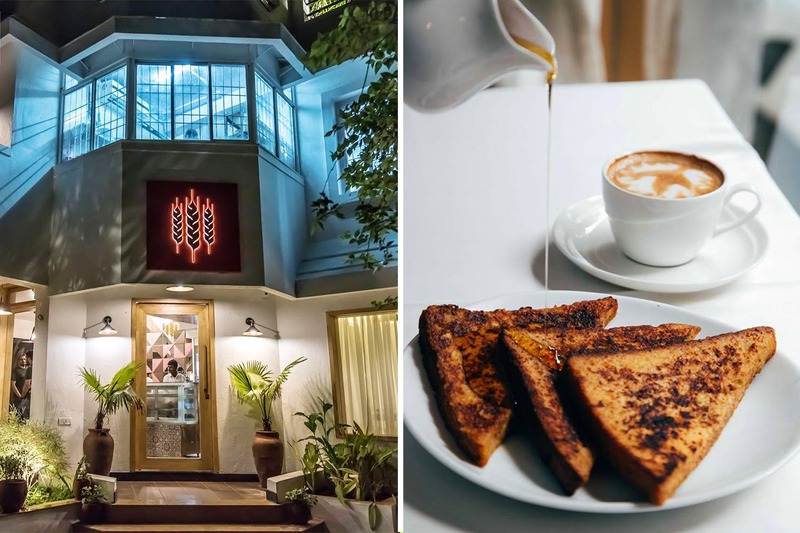 The Flour Works is known for their good food, and notoriously inconsistent service - and we hope the Baner outlet doesn't fall into the same footsteps. The Flour Works is a pet-friendly place, so feel free to take your fur-baby with you on your next dinner (or breakfast) date!